This book explores the stakes of war memory in Japan after its defeat in World War II, showing how and why defeat has become an indelible part of national collective life, especially in recent decades. It probes into the heart of the divisive war memories that lie at the root of current disputes over revising Japan's pacifist constitution, remilitarization, and the escalating frictions in East Asia that have come to be known collectively as Japan's "history problem." 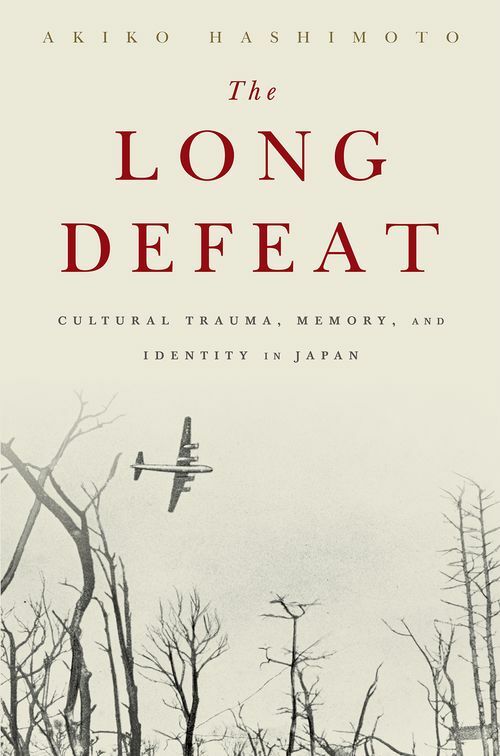 Examining Japan's culture of defeat up to the present day, the book illuminates how memories of national trauma remain relevant to culture and society long after the event, and why the memories of difficult experiences endure, and even intensify, despite people's impulse to avoid remembering a dreadful past and to move on. These memories have endured in Japan for many reasons: the nation's trajectory changed profoundly after its surrender of sovereignty in 1945; collective life had to be regenerated from the catastrophic national fall; and it faced the predicament of living with a discredited, tainted past. This book shows that the culture of defeat in Japan has mobilized new and continually revised narratives to explain grievous national failures, mourn the dead, redirect blame, and recover from the burdens of stigma and guilt. The task of making a coherent story of defeat is at the same time a project of repairing the moral backbone of a broken society. Drawing on ethnographic observations and personal interviews as well as testimonial and other popular memory data since the 1980s, the book identifies three preoccupations - national belonging, healing, and justice - in Japan's discourses of defeat. It traces the key memory narratives, and identifies their crucial roles in assessing Japan's choices - nationalism, pacifism, or reconciliationism - for addressing the escalating national and international tensions it faces today. Akiko Hashimoto is Associate Professor of Sociology, University of Pittsburgh; author of Imagined Families, Lived Families: Culture and kinship in contemporary Japan (SUNY 2008), The Gift of Generations: Japanese and American Perspectives on Aging and the Social Contract (CUP 1996), and Family Support for the Elderly: The International Experience (OUP 1992). "...And this brings us back to why The Long Defeat is such a significant contribution to the literature -- Hashimoto's cultural analysis, her focus on the micro-level and the family, and the emphasis upon the fact that the way in which collective memory formation takes shape in non-Western countries may be significantly different from those in Western countries, which currently dominate the field. It is truly a beautifully written book, exceptional in its clarity of prose and organization." --Mark A. Wolfgram, Oklahoma State University, lHistorical Dialogues, Justice and Memory Network at the Institute for the Study of Human Rights (ISHR) at Columbia University.